As a student, still believe that hostels were the best places to stay. Hostels are cheap, hygiene, good food with fairly decent basic amenities. Hostels are like dorms where students live on campus. 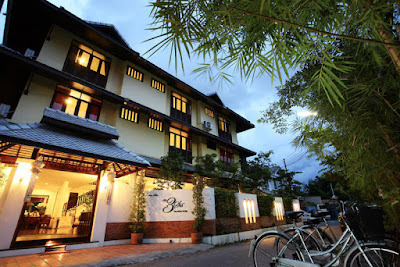 Hostels are also used as guest houses for students traveling on tours and educational tours. In a place like London, where living is very expensive, travelers prefer hostels for the night. Hostels are a great place to stay on a budget because they cost only twenty dollars a night, even in the most expensive cities. Most people who stay in hostels are budget travelers. Hostels are also a great place to meet other travelers. The dormitory setting helps you to get to know other people and most hostels have common areas where people can relax and get to know each other. As hostel guests are usually on a budget, it helps them to have fun and meet people while staying within your budget. 1. They are cheaper than hotels. Hostels are only a few dollars a night compared to hundreds of dollars a night, a hotel can cost. 2. Some organize group activities to interact with other travelers. This is the most interesting aspect of staying in a hostel. Many hostels organize group tours and help travelers explore the place. Meeting people from different parts of the world is a great experience in itself. Hostel lets you connect with other travelers. 3. Many have free access to a kitchen and laundry facilities. Inns give you a kitchen to cook and sometimes have outputs cook as a way to meet other travelers. Additionally, hostels have washing machines to clean your clothes. 4. Staying close to the public transportation system, such as trains or bus station using the shuttle. 5. Hostel Workers can often tell you everything about the area you are visiting. Consider staying in a hostel next time you go on vacation. Hostels are a great way to network and socialize while traveling as hotels can be very formal. Hosteling go and have fun.